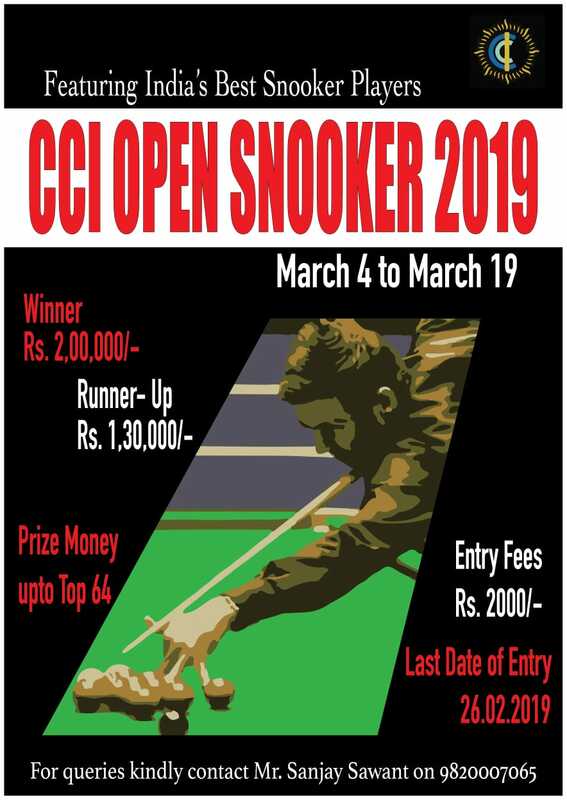 "Entries close at 6pm today for the CCI Open Snooker 2019. 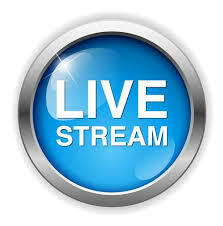 All entries received post 6pm will be subject to availability." Branch: Industry House , Churchgate , Mumbai. Only players who have made the payment will be added to the draw. Highest Break above 130 - 25000. A person coming 5 minutes late will lose one frame. A person coming 15 minutes late will lose the match. The CCI Club Billiards Room clock will be the official and final time keeper. All participants (men and women) must wear formal clothing for their matches. CCI T shirts will be Provided to all players & Compulsory for Match. Formal trousers, socks and formal shoes. Any participant who does NOT adhere to the above dress code will not be permitted to play their match. All the draws and the match schedules will be put up on the websites www.cuesportsindia.com and www.bsam.inwell in advance. The draws will also be put up at the Cricket Club of India.All participants must check the website for their schedule match time and date well in advance. All participants must report for their match 15 minutes before their scheduled time at the Tournament Desk. No participant will be notified of their matches... they need to CHECK the same on the above websites.Matches once scheduled will NOT be adjusted. All participants are requested to maintain decorum in the club premises. Any participant, viewers and / or spectators failing to do so will not be permitted to enter the club. ALL PARTICIPANTS ARE REQUESTED TO PLAY IN THE SPIRIT OF THE GAME. ACTION WILL BE TAKEN AGAINST THE PARTICIPANT WHO DISRESPECTS HIS OPPONENT OR THE GAME IN ANY WAY. THE DECISION OF THE TOURNAMENT COMMITTEE WILL BE FINAL. Round 1, Round 2 and Round 3 will be a Best of 5 Frames. 3 Foul and Miss Rule will apply. On the colour balls (yellow onwards), a player needing 4 Snookers or more (40 points or more) will have to COMPULSORILY concede the frame to the player leading at that point. Foul and Miss Rule as per IBSF will be applicable. The Final Decision in all matters pertaining to the tournament will lie with the Tournament Committee. For any queries please contact Mr Sanjay Sawant Tel No 9820007065. CCI Kekoo Nicholson BSAM Billiards League 2019.